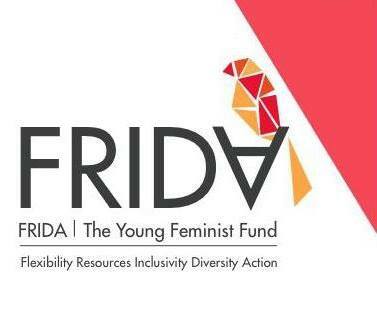 Co-convened by the Haus of Khameleon and FRIDA | The Young Feminist Fund at the 13th Triennial Conference of Pacific Women and 6th Meeting of Pacific Ministers for Women. Fiji Times Link: Click here! The first ever Pacific Feminist Forum is set to take place in Suva, Fiji, combining women’s rights defenders, feminists, activists and women from multifarious backgrounds across the South Pacific for 3 days of collaboration to begin on Monday November 28th to Wednesday 30th November, culminating with a commemorative occasion to celebrate World Human Rights Defenders Day. The Fiji Women’s Rights Movement (FWRM) along with its event partners and a Working Group of Pacific Island representatives are organizing the PFF as a means of ‘mapping journeys and building movements’ amongst feminists across the region. The Pacific Feminist Forum is positioned to be an extremely important event for Pacific women being the first ever gathering of its kind in the region. It aims to convene a diverse and amazingly influential network of Pacific feminists, with the intention of reflecting on key issues paramount to gender equality and women’s rights, as well as collaborating to effect positive change for all Women and Girls within our respective regional communities. The PFF will be a platform of fostering Intergenerational Leadership within feminist movements at the national and regional level. It will also be a time of celebrating the tremendous gains that previous generations of Pacific Feminists have made (and are still making), so that the new wave of feminist activism is able to flourish. 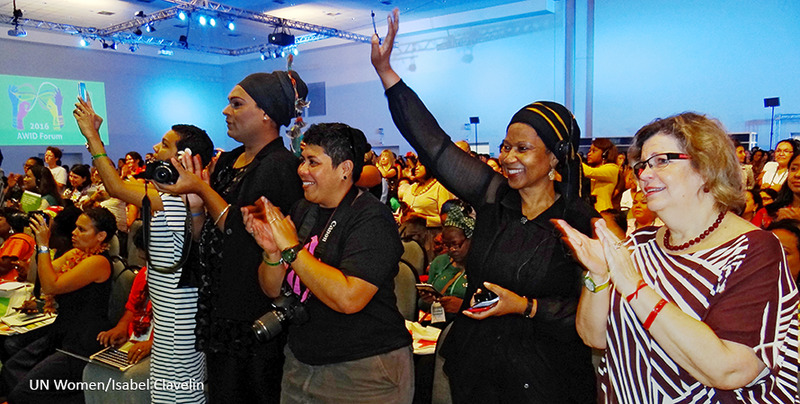 The Pacific Feminist Forum is set to bring together around 100 women and human rights activists from 22 island states including Fiji and Rabi, Tonga, Samoa, Kiribati, Papua New Guinea, Solomon Islands, Vanuatu, Cook Islands, Republic of Marshall Islands, Tuvalu, Autonomous Region of Bougainville. #PFF2016 is organised by the Fiji Women's Rights Movement (#FWRM) in partnership with #Bold Alliance, Diverse Voices and Action (#DIVA) for Equality, Haus of Khameleon, the Pacific Young Women's Leadership Alliance (#PYWLA), International Women's Development Agency (#IWDA), the University of the South Pacific (#USP), UN Women, the Westpac Women's Markets and FemLINKPACIFIC, UNDP, the European Union and the Pacific Women Shaping Pacific Development. This activity is supported through the We Rise 2 program, with the We Rise Coalition, and funding from the Department of Foreign Affairs and Trade (#DFAT). O'reillys in collaboration with Haus of Khameleon and 2day FM are launching its first of 4 Lip Sync Battle auditions on the 9th of November in Suva's O'reillys nightclub. Two winners from each of these 4 audition episodes will make up the 8 act line up who will battle it out at the Grand Finale again in O'reillys on Saturday 10th December. The winner will receive $1,000 cash! For the Haus of Khameleon, this partnership is about creating a space and night environment in Suva where everyone feels safe to be who they are, whether you're straight or LGBT. As a trending idea and show, Suva's most popular night spot O'reillys nightclub have joined forces with the uber talented HAUS of Khameleon and Fiji's most awesome radio station 2day FM to bring you Fiji's first LIP SYBC BATTLE 2016. HAUS of Khameleon are behind the decor, production and theatrics of the event. Tapping into their pool of dynamic seasoned performers, there will be exciting entertainment being provided throughout auditions and in the Grand finale. FBCL have come on board with 2day FM as the exclusive radio partners and co-presenters of the entire event. Tune into 2day FM and FBC TV for developments on the event and also watch the various hosts 'perform' their own lip sync act! O'reillys nightclub will host preliminary rounds for those who would like to be part of Audition Episodes at Shenanigans nightclub onThursday 20th and 27th October 2016 from 2pm onwards. If you are interested call Julianne on 7908647 or Brandon on 7908625 or June on 9215693 for more information. Diverse Pacific feminists will be reflecting on their own work and the work of others in the region. We'll focus on how gender justice, women's human rights, LGBTQI, third gender and Pacific indigenous and other identities, butch/femme, masculine/feminine concepts are being articulated, reproduced and challenged in pacific local, national, regional and global transgender activist work. What are current and further alternatives that challenge intra and inter-movement power relationships and heteronormativity? What takes us further toward a shared vision of true gender and social justice as well as an economic and ecologically sustainable world for all? The third international convening of FRIDA grantee partners took place on at Hotel Costa Sauípe Resort in the Ala Agua meeting room. The idea of creating this space is for grantee partners to share, learn, and connect, but also to have ownership of that space and suggest how we can create it together to be meaningful for everyone. The annual Adi Senikau Pageant, Fiji's biggest transgender pageant is staged every August coinciding with the Vodafone Fiji Hibiscus Festival. Organised by the Haus of Khameleon in partnership with the Hibiscus Events Group Inc. The Trans Coalition Fiji invites you to a panel discussion on Thursday, 26th November, 2015 from 1:00pm - 3:00pm at the Pacific Theological Centre, Nasese, Suva. The panel discussion is part of our activities for the 16 Days of Activism Against Gender Based Violence and will take place as scheduled organised by theHaus of Khameleon, LGBTQ Rights and Equality in Fiji_the Rainbow Pride Foundation, Pacific Rainbow$ Advocacy Network and the House of Colours in partnership with UNWOMEN andUNAIDS. The panel discussion will serve as an opportunity to reflect on the journey of the Lived Exeprience of Transgender individuals over the last several decades, reviewing progress in the areas of Transgender Based Violence/LGBT Rights/ and Sustainable Development noting the interlinkage framework and the multi intersecting forms of Violence and Discrmination Transgender individuals face. The aim of the event is to highlight the significant impacts of the work done by local and regional Trans organizations with allies, and recognise the need for 'Intergenerationalism and partnership' in sustaining the LGBT movement. The Trans Coalition Fiji invites you to a panel discussion on Friday 27th, November, 2015 scheduled in Labasa and Lautoka. Come and enjoy a day of fun in the sun with family and friends as we commemorate International Day Against Homophobia and Transphobia. The daily struggle that lesbian, gay, bisexual, transgender, intersex, and queer (LGBTIQ) communities encounter in our endeavours for Equality, Diginity and Humanity would not be as substantial to the movement if it weren't for the firm and unwavering support of our loved ones - families (chosen and biological), partners and friends. Hence the Family Fun Day OUT for all to celebrate the tenacious works of our brothers and sisters within the LGBTIQ movement, but also paying tribute to the lives lost due to homophobia and transphobia. The Family Fun Day OUT will involve activities for children, games, music, creative expressions, other rainbow fabulousness and a candle light vigil followed by an after party. ALL AGES, ALL DIVERSITIES, ALL WELCOME!! !